In The Number Ones, I’m reviewing every single #1 single in the history of the Billboard Hot 100, starting with the chart’s beginning, in 1958, and working my way up into the present. That is one hell of a pop-music résumé. Preston did all that by age 26, and then he got his first #1 song. 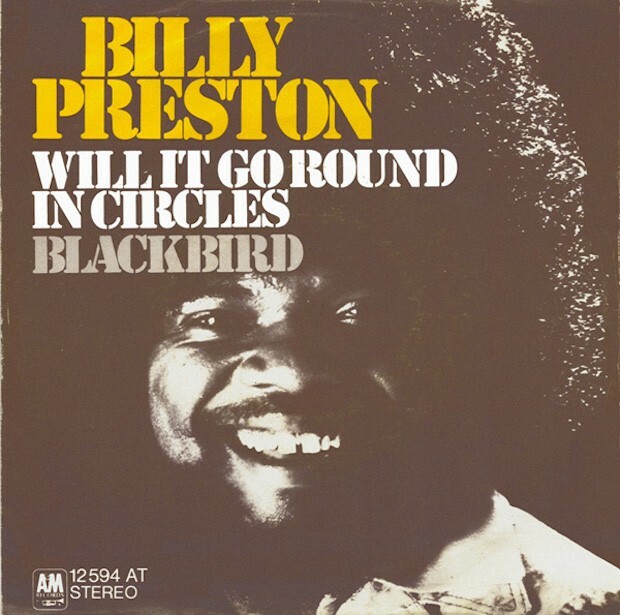 “Will It Go Round In Circles,” the first of two Billy Preston #1 singles, is a sunny soul-funk vamp, and it practically bursts with joy. Billy Preston had plenty of reason to be happy. He’d done some things. The worst thing you can say about “Will It Go Round In Circles” is that it’s not a Stevie Wonder song. Wonder and Preston were contemporaries, and they were both former prodigies who were early adapters to the clavinet and who shared a lot of the same friends and collaborators. But Wonder was a paradigm-shifting genius, while Preston was simply an extremely good musician. As a singer, Preston sounds nothing like Wonder, but “Will It Go Round In Circles” is the same type of big-band squelch-stomp that Wonder might’ve made a few years earlier. It can’t stand up to the kind of thing that Wonder was doing at the time, but on its own terms, it’s a lot of fun. Preston co-wrote “Will It Go Round In Circles” with his friend and regular collaborator Bruce Fisher, who got to quit his job in the NBC mailroom when the song blew up. Preston had told Fisher that he had a song but didn’t have a melody. They made a joke out of that, and the joke became a song. The “Will It Go Round In Circles” lyrics are all silly paradoxical lines about a story with no moral (“let the bad guy win once in a while”) or a dance with no steps (“let the music move me around”). If you wanted, you could read this as Preston making a gnomic point about the eternal clash between expectations and reality. But when you listen to the song, it’s pretty clear that he’s just having fun, and that those lyrics are really just a framework for these expert musicians to run wild. 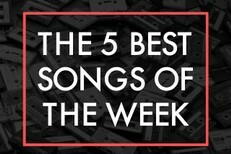 In the end, it’s a best-case scenario for the jam-based song. It’s the sound of a bunch of killer musicians doing whatever they want with a nasty groove, and refusing to let the whole thing mean anything more than that. In real life, Preston wasn’t as happy as he sounded on this song. He had to deal with the impossible reality of being a closeted gay man living his life in public. (He only came out shortly before his 2006 death.) And in his later years, his cocaine addiction would absolutely derail his career. But for the four minutes of “Will It Go Round In Circles,” you can hear Preston shaking off whatever might have been weighing him down, losing himself in doing the thing that he was really, really good at doing. Check out Greg Grunberg from Alias on the drums! Teri Hatcher apparently sings for Band From TV now, but I’m pretty sure she’s not in this video. THE NUMBER TWOS: Paul Simon’s cuttingly written Muscle Shoals throwdown “Kodachrome” peaked at #2 behind “Will It Go Round In Circles.” It’s an 8.